In this day and age, it has become so difficult to get by and make ends meet because even the most basic commodities have been pretty expensive. Thus, becoming ill is such a big no-no for most of us, particularly the working professionals who are usually the family's breadwinner. Most of the time, even if we do not feel fine, we try our very best to be okay because we knew that getting sick will cost us a lot of money and of course, we do not like that to happen. People are often unable to afford life-saving medicines particularly those we usually refer to as "maintenance" medicines. Personally speaking, I appreciate generic medicines because it is so much more affordable than branded ones. Unknown to many, generic drugs are proven to be just as effective as the more popular brands. I really think that the general public should eradicate that mindset that 'only branded drugs' work. 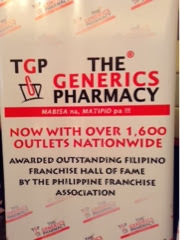 That's why I so am glad upon learning that the country's largest drugstore chain, The Generics Pharmacy recently launched TGP Paracetamol--proven safe and effective and probably the country's most affordable paracetamol tablet for the price of Php 1.00 per tablet. 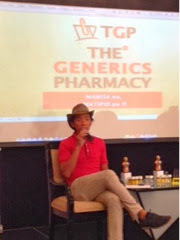 The Generics Pharmacy personally handpicked It's Showtime and Matanglawin TV Host, TV Patrol resident Weather and Trivia anchor, health buff, fitness enthusiast, triathlete, and celebrity endorser, Kim Atienza, more popularly known as 'Kuya Kim' to become TGP Paracetamol's brand ambassador. 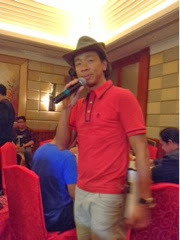 "Kuya Kim is the epitome of a true survivor. His experience, both in his medical battles and in his career, provides great credibility and truthfulness in our advocacy towards promotion of generics in the country," said The Generics Pharmacy President and CEO Benjamin Liuson. 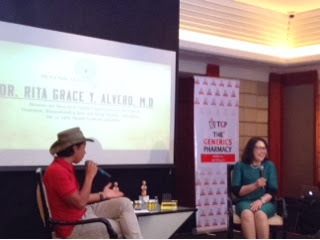 "We believe that no other personality could very well represent the TGP Paracetamol brand other than 'everybody's' "Kuya Kim", says Ms. Debbie Pangan, Corporate Affairs and Communications, The Generics Pharmacy. "He's someone at the prime of his career, with a happy family, well-loved by many, someone to look up to and most especially, he's health-oriented as he's also someone who had cheated life twice and has survived." For those who don't know much about Kuya Kim, he had suffered from a stroke in 2012 and last year, he was diagnosed with the Guillain Barre Syndrome--a self-limiting condition of the nerves that can be paralyzed someone from head to toe. It causes weakness and paralysis to the limbs. "One thing I've realized after having gone to two life changing experience in my life, I had really been blessed. I was able to see just how pitiful our healthcare system is. What's worse is that if you're not that well off and you suddenly get sick, it will probably cost you a fortune especially with those expensive treatments," explained Kuya Kim. "Had I been poor, I knew I might've been dead by now. My wife had spent more than 2 million for my stroke treatment alone. 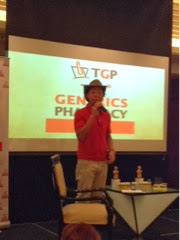 I've experienced throbbing in pain while you still had to queue and wait for your turn before a physician could check on you," shares Kuya Kim during the press launch of the TGP Paracetamol at the Makati Shangri-La Hotel. "The best endorsement is the one I am very passionate about. 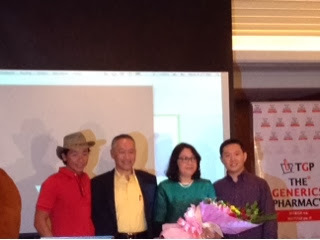 I'm totally happy that The Generics Pharmacy signed me up to promote and endorse the TGP Paracetamol. 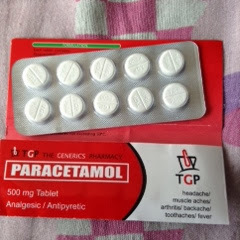 For someone who needs to spend a lot on a daily basis as treatment for my sickness, this includes constant intake of paracetamol for the pain, I am thankful that The Generic Pharmacy had introduced TGP Paracetamol which are readily available in the market today. Another good news is the price, for one peso per tablet, you're sure to keep the pain away." TGP Paracetamol is the first clinical and human-trial tested private label generic medicine brand proven to equal effectiveness to off-patent brands. A series of tests were conducted via a randomnized three-way crossover single dosed bioequivalence study against the leading and innovator paracetamol brands in the market. Led by Director for Research Support and Extension Services, and Chairman of the Bioavailability Unit and Drug Testing Laboratory at the De La Salle Health Sciences Institute, Dr. Rita Grace Alvaro, the team tested the rate and extent of absorption of the TGP Paracetamol. 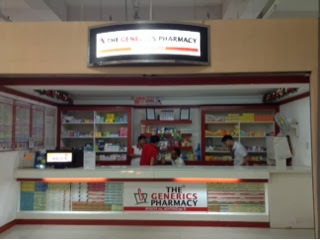 With over 1,600 franchised outlets nationwide, The Generics Pharmacy continues to promote its pro-health advocacy by getting reputable well-known personalities such as Kuya Kim, Binibining Pilipinas beauty queen and professional pharmacist Janine Tugonon and Batangas Governor Vilma Santos-Recto to support their cause. The company is committed to provide the highest quality of healthcare possible at very affordable price by adding a wide range of generic medicines like vitamins, maintenance medicines for the heart, diabetes and cholesterol, and its new product--TGP Paracetamol. TGP also offers free services such as the Dial-A-Doctor program wherein they can get free medical consultation from a doctor on duty and receive recommendations right away by simply dialing 732-3333. The service is a available from Monday to Saturday, from 8:30AM to 5:30AM.